Excel is a powerful program with more than 300 built–in functions that can be used to perform an almost infinite number of calculations. This friendly book shows you how to use the 150 most valuable ones in real–world situations: to compare the cost of buying vs. leasing a car, calculate classroom grades, or evaluate investment performance, for example. Another 85 specialized functions are also described. Detailed, step–by–step instructions help you understand how functions work within formulas and how you can use them to solve everyday problems. 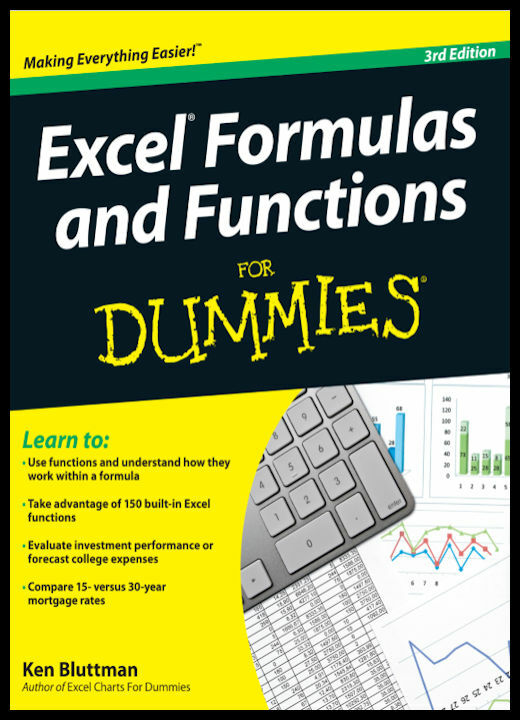 Excel Formulas and Functions For Dummies, 3rd Edition helps you put the power of Excel to work in your daily life.